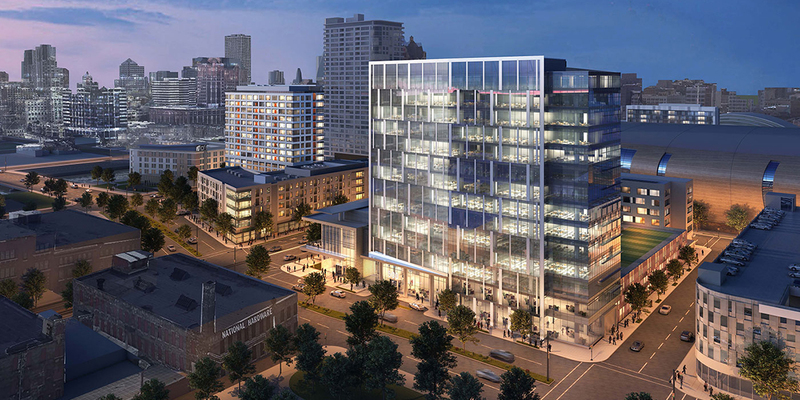 Downtown Milwaukee’s premiere new neighborhood, Deer District, is now welcoming new office tenants via a Class A office development. This new site will have unrivaled access and visibility along McKinley Avenue neighboring downtown's newest developments including Fiserv Forum, Good City Brewing, MECCA Sports Bar and Grill and Punch Bowl Social. Tenants will benefit from best-in-class onsite amenities including structured parking, vast campus green spaces and year-round, district-wide programming. Learn more about development opportunities within Deer District, Milwaukee’s newest neighborhood.